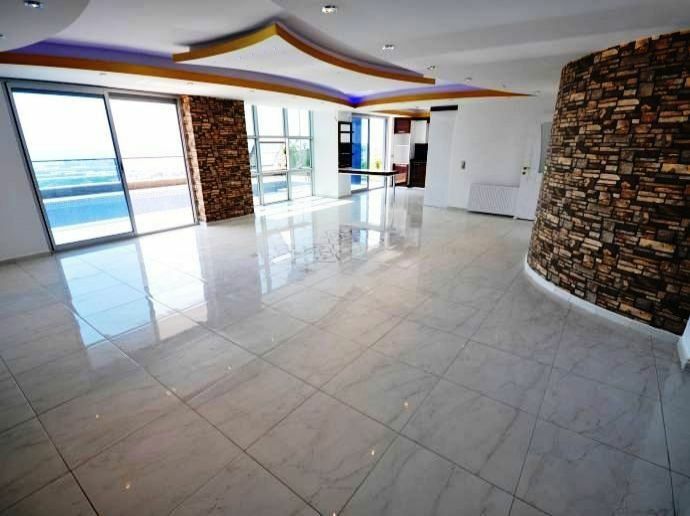 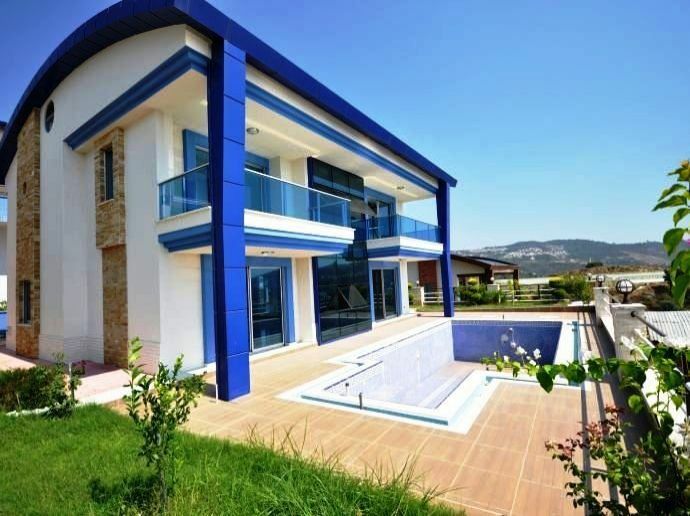 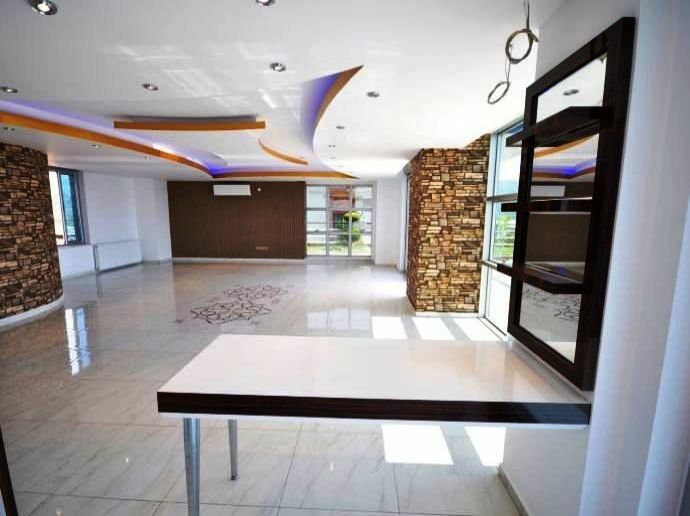 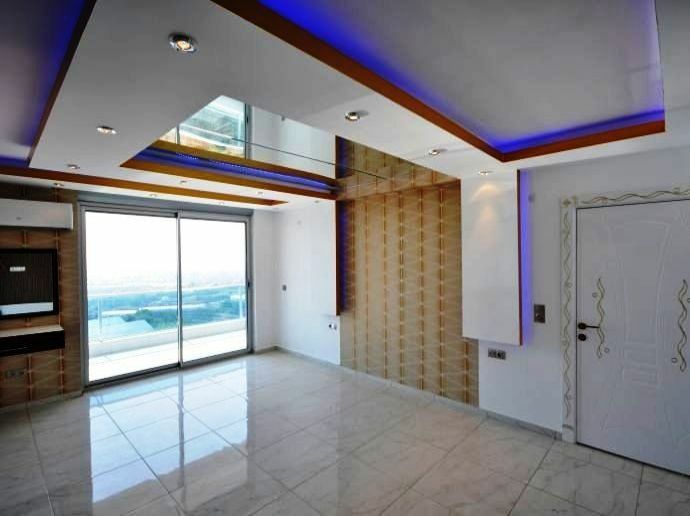 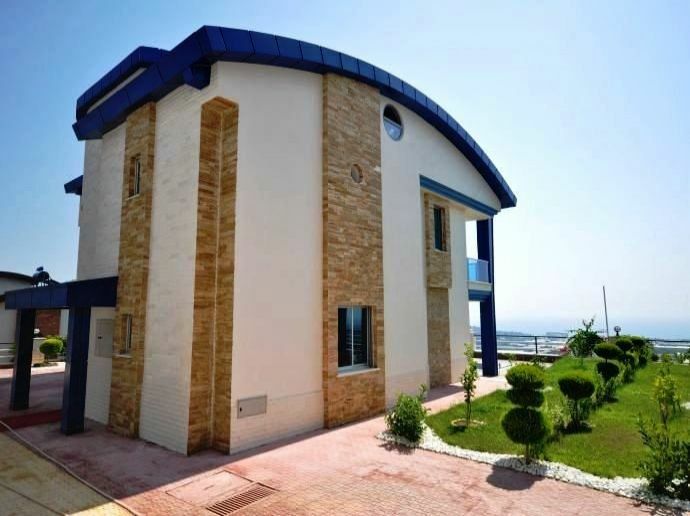 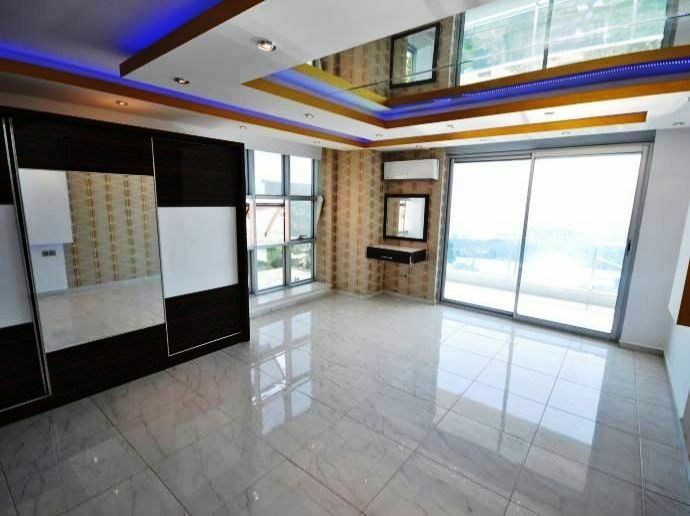 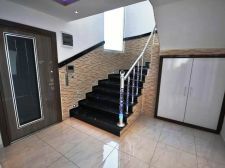 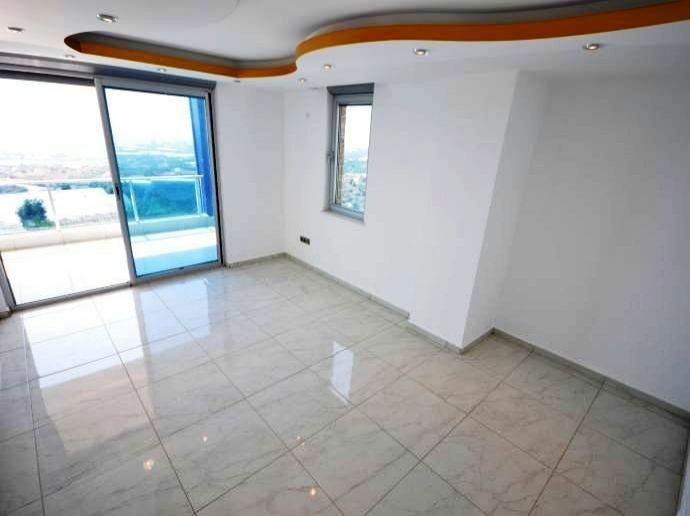 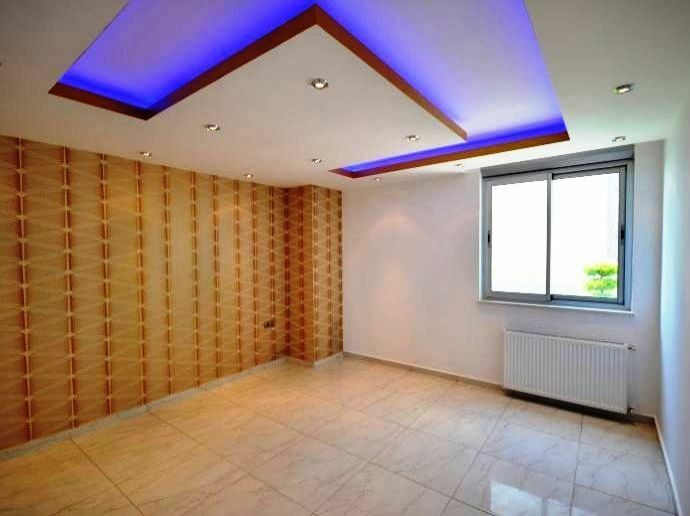 This is a beautiful and luxurious villa-house for sale in Alanya. 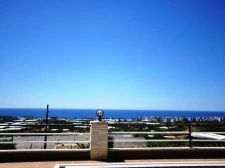 Though the Mediterranean Sea is one kilometer away, a view of the blue waters can be enjoyed from the villa’s terrace. 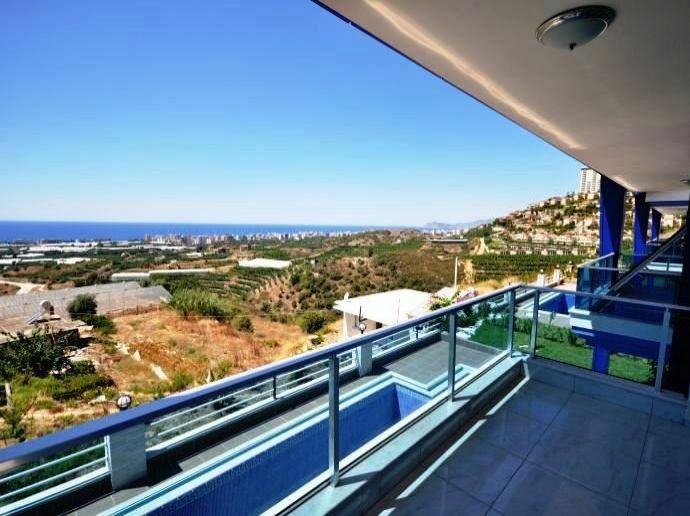 The 180square meter villa house in Alanya has 4 bedrooms and one living room, 3 bathrooms and 2 balconies. 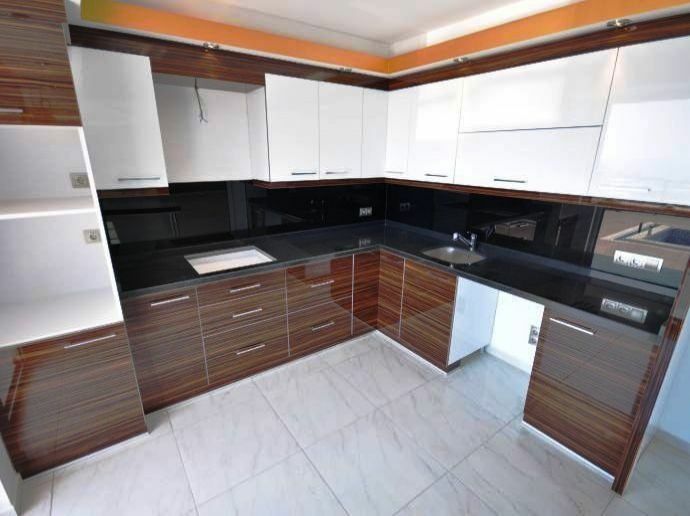 The kitchen is of American type, and this is definitely one of the prime properties in the region. 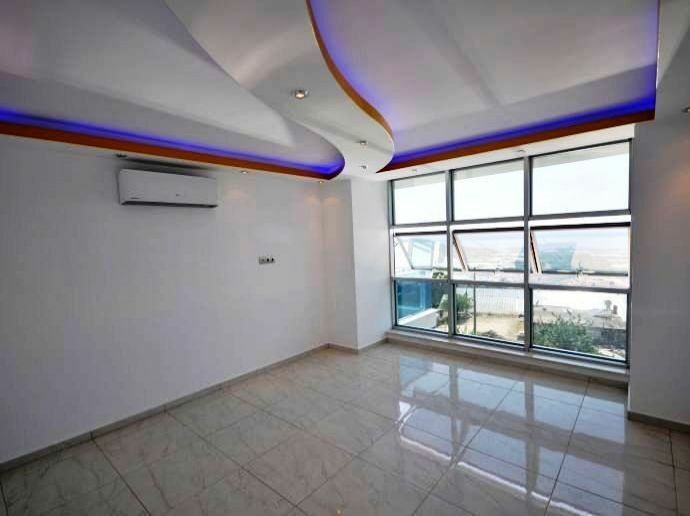 The exterior appearance and the interior finishes are excellent, with decorative ceiling work and concealed studio type lighting. 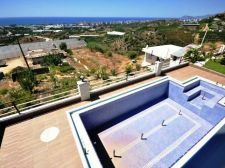 There is a swimming pool, a garden around this house in Alanya in addition to a sauna and shower cabins in the bathrooms. The ceramic tiles on the floors and granite staircases have added glamour to the property. 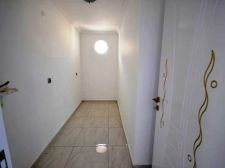 There is also a provision for covered parking in the villa-house for sale. 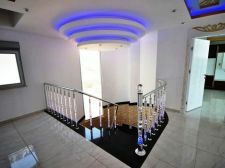 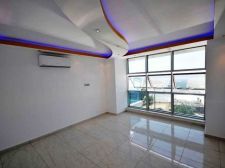 Only the split type air conditioners are provided as part of the villa. 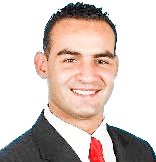 The rest of the white goods, appliances and furniture and furnishings will have to be brought in by the buyer. 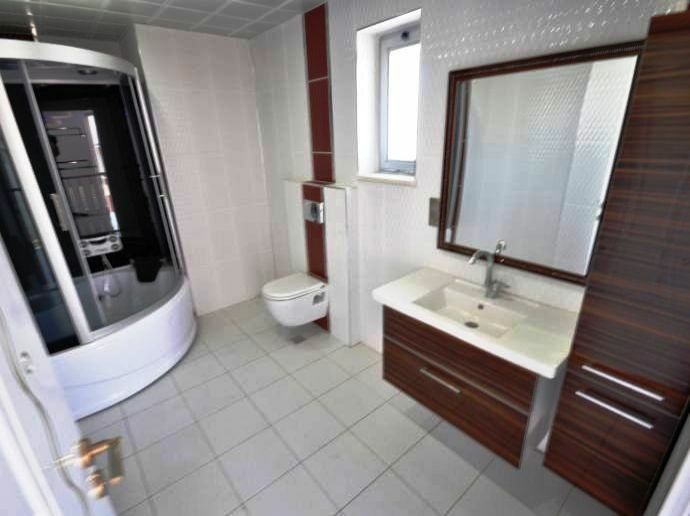 Being a standalone villa, the residents can enjoy total privacy and still have easy access to many facilities. 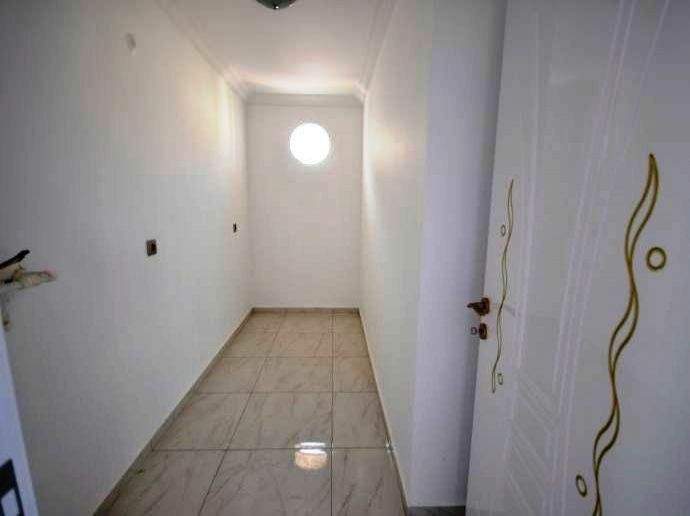 The city centre is just less than a kilometer away. 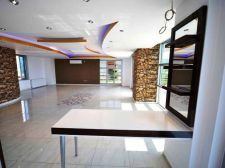 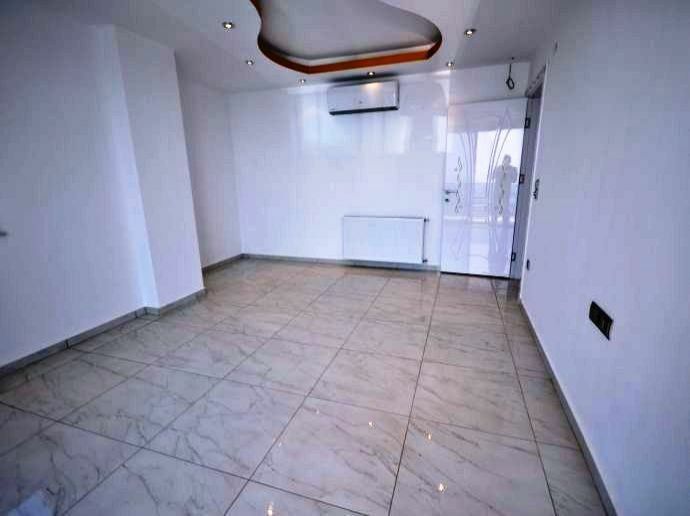 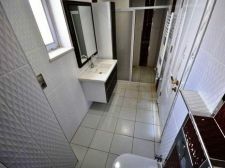 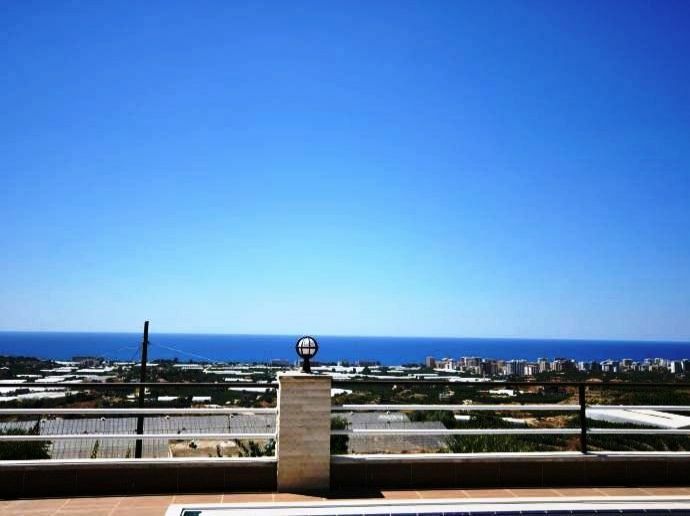 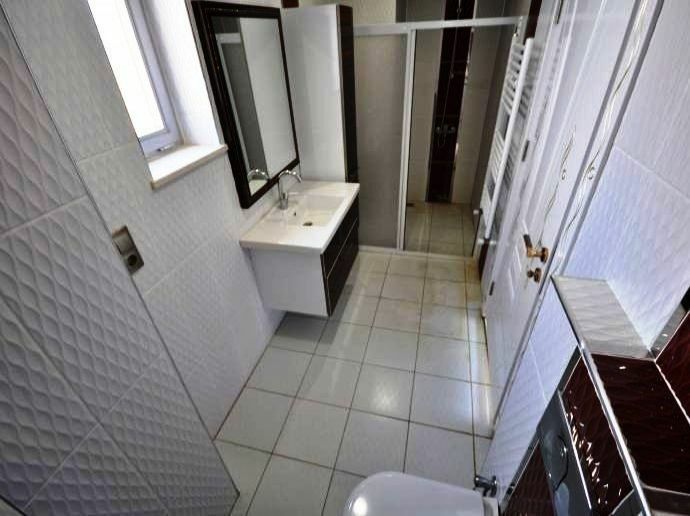 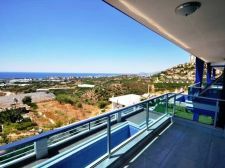 You may not get many properties of this type, quality and location in Alanya and having been built only a couple of years ago; the villa is in superb shape and condition.